Jacob Best, Sr., was an American brewer who founded the company that later became Pabst Brewing Company in Milwaukee, Wisconsin. Best was born in Hesse-Darmstadt, Germany, in 1786. He learned the brewing trade and operated a small brewery in Mettenheim before migrating to Milwaukee in 1844. Best joined his two sons in Milwaukee who had arrived in 1840 to find jobs. Together, they organized a brewery and distilling business, and Best soon took his two younger sons into the firm. 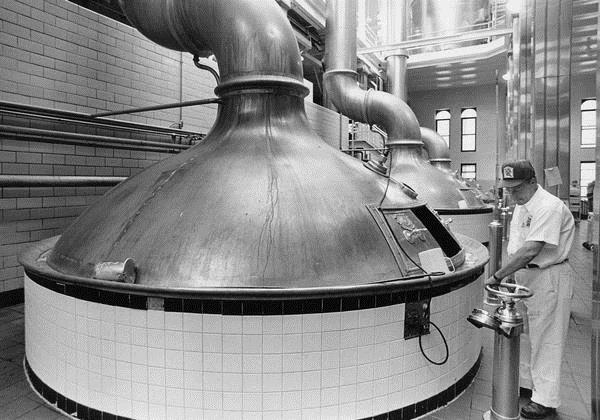 The Bests eventually stopped making whiskey and vinegar, and concentrated on producing a light lager beer. They began operating at the rate of about 300 barrels per year. The brewery was initially known as the Empire brewery, but eventually became Best and Company. The company's beer became one of the most successful in the Milwaukee area. Jacob Best, Sr., remained in the business until he retired in 1853. He devoted his time to local politics and held minor political offices in Milwaukee. Phillip Best's son-in-law, Frederick Pabst, became president of the firm in 1873. In 1889 the brewery was renamed to Pabst Brewing Company. See more images, essays, newspapers and records about Jacob Best.